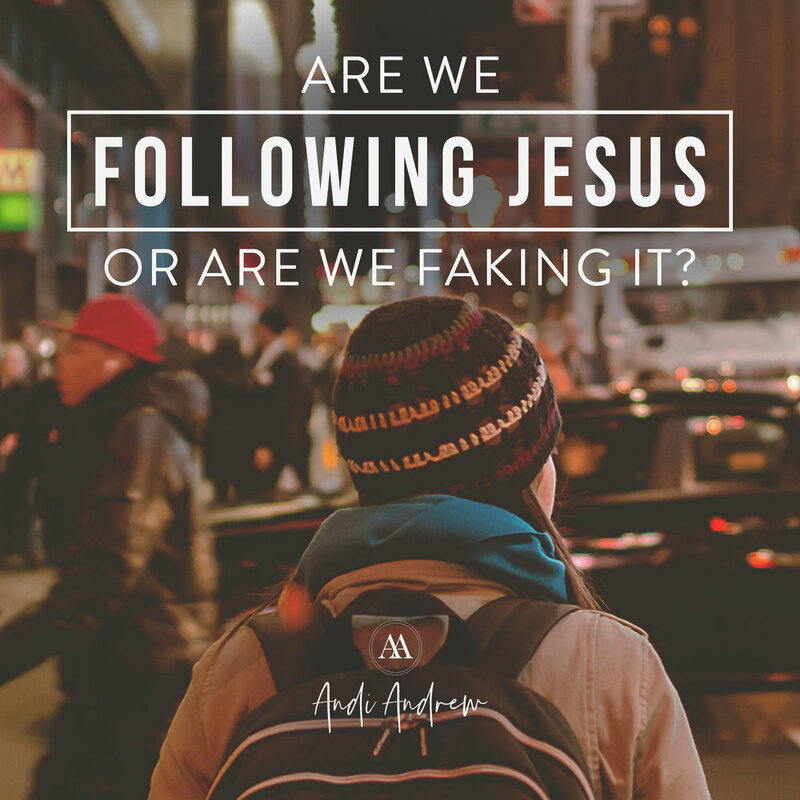 Are We Following Jesus, or Are We Faking It? She said I was “cute and entertaining.” Cute and en-tertain-ing. Take me now, Lord. I had just finished speaking at a church, having completely poured myself out and at my most vulnerable, when a wellmeaning woman said I was cute and entertaining. I’m sure she thought it was a compliment, but she may as well have slapped me across the face, and I didn’t feel like turning the other cheek. My internal dialogue went into an unholy nosedive. Her words may have had more to do with what she came to the gathering to receive than what I was actually giving, but they hit me hard, and so they should have. Instantly, I went into a contemplative, internal spiral. If thoughts could be heard, mine would have sounded like deep, guttural cries for God to search my heart: Am I really only cute and entertaining? Is that all I have to give? Is that what I’ve been doing all this time, feeding consumers with entertainment? If so, then what is the point? God, if that’s the case, forgive me . . . oh, and also, I quit. A tad dramatic, but that’s truly how I felt in the moment. God has given me the gift of humor when I communicate, and it often comes out right before I bring a truth in love that’s potentially hard to hear. Laughter has a way of softening the heart to hear what God desires to say. But upon hearing her “compliment,” I had to ask myself a hard question: Am I entertaining people, or am I teaching and, more importantly, living in the fullness of the gospel? Humanity is desperate for the good news that we are restored in Jesus to our redemptive and created purpose in the middle of a world full of pain and suffering. All eyes are on the church to see if we’re really living out what we say we believe. Again, I had to ask myself, Am I following Jesus and leading others in the way to follow Him, or am I faking it, putting on a show and aiding in implementing Western consumerist culture in the church? The last thing I want to do is be fake or put on a show—ever.